As a Nation, the horror of 9/11 will be forever etched in our minds. On that tragic day, nearly 3,000 people lost their lives and their families and friends lost their loved ones forever. If you lost a loved one in the September 11th attacks or just want to be sure we never forget those lost that day and the families they left behind, a Remember 9/11 Memorial Bracelet is the perfect way to do so. It's a heartfelt tribute to those who died that day. 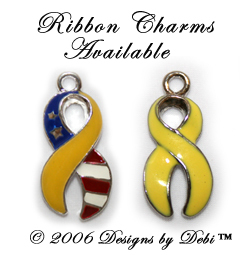 The Remember 9/11 Memorial Bracelet is available in 2 designs. 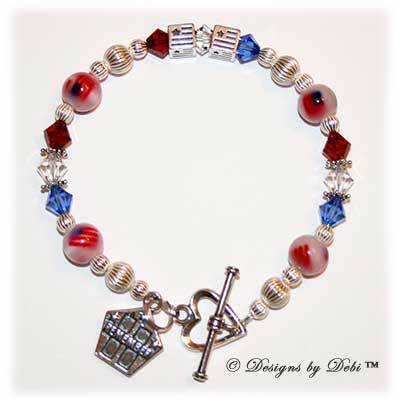 Design #1 is made with sterling silver flag blocks, beads and heart toggle clasp; Swarovski® crystals in red, crystal and blue; fiber-optic flag beads and a sterling silver 'Remember' Twin Towers charm. 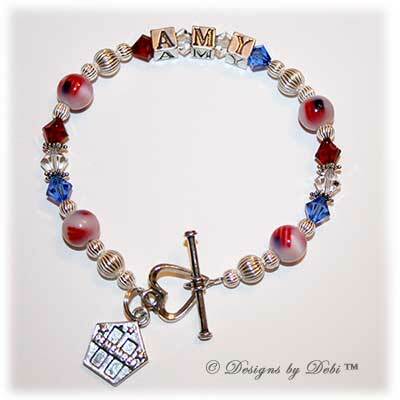 Design #2, a personalized version, is also made with sterling silver beads and heart toggle clasp; Swarovski® crystals in red, crystal and blue and a sterling silver 'Remember' Twin Towers charm, but instead of flag beads, it has your loved ones name spelled out in sterling silver letter blocks. 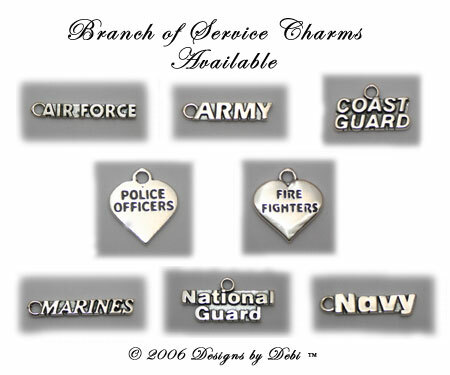 You can also add an 'In Memory' Dangle, Branch of Service Charm and/or Awareness Ribbon Charm to your bracelet. These options are each purchased separately and you can add as many as you'd like. A portion of the proceeds from all Remember 9/11 Memorial Bracelets is donated to the Twin Towers Orphan Fund to help children who lost one or both parents on September 11th.